Fred Bestall’s return to Australia and the yacht racing scene marks a big step up from his time living in California in the 1980s racing a heavy one-tonner, the last competitive boat he owned. Three months ago Bestall bought Bob Steel’s 2002 Sydney Hobart winner called Quest and in early January 2017 he’ll contest the very first Club Marine Pittwater to Southport Yacht Race sailing the rebadged Auric’s Quest for his home state of Queensland and the finish partner, Southport Yacht Club. “My old boat was a one-tonner I bought from Denis Connor in the ‘80s that was either very fast or very slow, no in between, whereas my new boat is a 46-foot dinghy and a much higher level of racing,” said Bestall talking about his entry in the 370 nautical mile sprint due to start off Barrenjoey Headland at 1pm on Monday January 2, 2017. 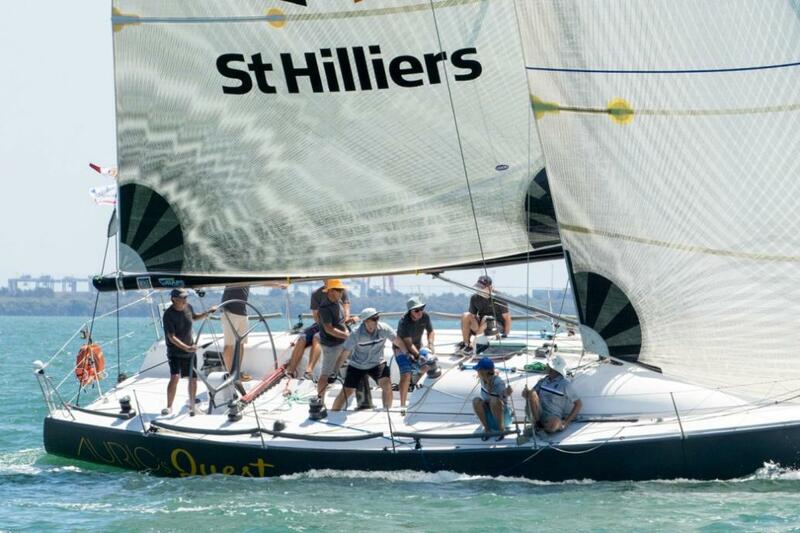 Three days before the 10th Brisbane to Keppel Race back in August, Bestall took ownership of Steel’s champion Nelson/Marek design and renamed it Auric’s Quest, after his company and the Latin term for gold. He set off with a pre-assembled crew for what turned out to be a baptism of fire – a breezy and ultimately record-breaking run north for the eventual line honours winner, Wild Oats XI. Steel and Bestall had the opportunity to meet through the purchase and following Auric’s Quest’s maiden outing Steel called the green owner to ask: “How good was the learning curve?” Bestall tells. Bestall plans to do as much east coast racing as possible including next year’s winter Sydney to Gold Coast race and Audi Hamilton Island Race Week in August before taking on the vast distance of the RQYS’ Brisbane to Noumea Race in September, and possibly a Sydney Hobart race down the track. The Irish born, New Zealand educated businessman moved to Australia in the 1970s at 21 then left for overseas to run his company in California for 20 years and Europe for a decade before returning to family on the Gold Coast. Drew Carruthers’ Rogers 12 Rushour is the first multihull entrant for the Category 2 race and the Royal Prince Alfred Yacht Club’s organising committee expects other multihull owners to follow his lead. Carruthers contested the 2014 Pittwater to Coffs Harbour Race, the first to accept multihulls, with Rushour then switched to his monohull called Runaway for the 2016 event. His plan is to return in January 2017 with a very different Rushour, essentially a new boat having extended the hull from 40 to 50-feet and adding a 20m tall mast versus the original 12m. Like the previous race to Coffs Harbour there is no requirement for HF radio. Instead the fleet is monitored round-the-clock via the AIS and Yellow Brick tracking systems, plus organisers use VHF radio and mobile and Sat phones to stay in touch. Trophies will be awarded under the following handicap systems: IRC, PHS, ORCi and OMR, and there is a shorthanded (PHS) division on offer. Enter here by October 21 to go into the draw to win free entry and berthing to the SYC Sail Paradise Race Week. All other entries close December 1, 2016.